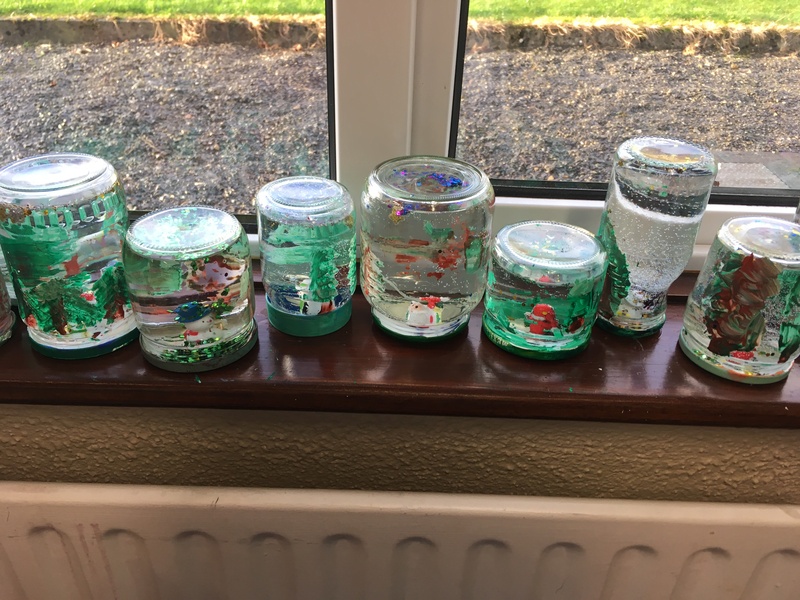 We made snow-globes for Christmas. First we painted the lid and decorated the jar. We used acrylic paints as they should be water-proof once dry. next we stuck our figure on to the inside of the lid. When the glue was dry, we assembled our snow-globes. 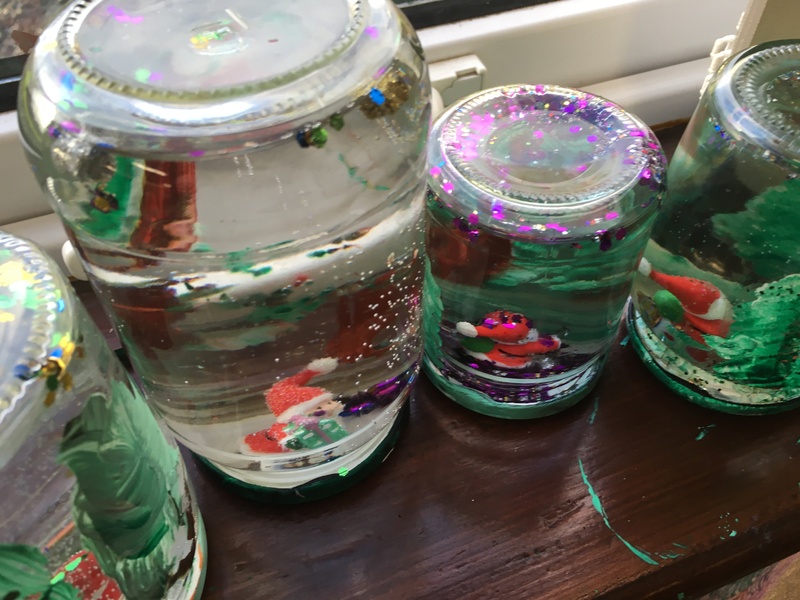 We filled the jar with water, added a drop of glycerin and different types of glitter. Once finished, we shook and shook.